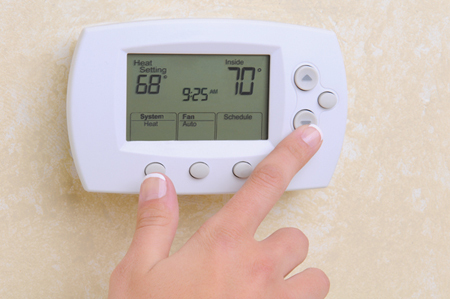 Wondering what to do if your home loses heat unexpectedly? Take a look at the questions below and follow the appropriate corresponding steps to determine if you are experiencing a heating system emergency. For emergency service within our Eastern CT or Southwestern RI service area, call us at (860) 536-7927 right away. Is there enough heating oil in your tank? Check burner switches. Be sure they are in the “on” position. There is one near the burner and usually one at the top of the basement stairs. If you still do not have heat, give us a call at (860) 536-7927. We are available 24 hours a day, seven days a week. If your heating system is experiencing routine breakdowns, it may be nearing the end of its lifespan. Ask us about the high-efficiency, long-lasting boilers and furnaces we supply and install!